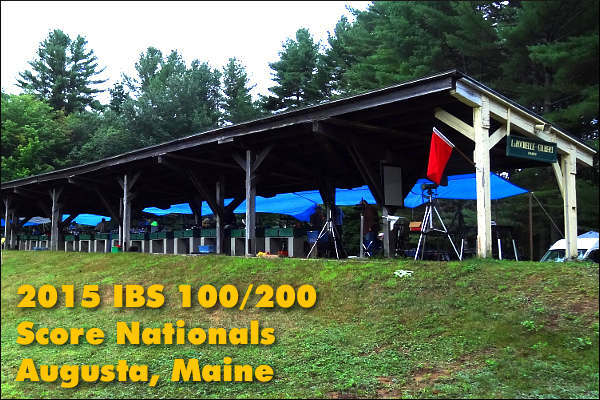 The 2015 IBS 100/200 Score Nationals were held August 22-24 in Augusta, Maine at the Capitol City Rifle and Pistol Club. By all accounts, the 2015 Score Nationals event was another success. Fifty-three guns participated in this year’s Score Nationals, with 38 Varmint for Score (VFS) and 15 Hunter rifles registered. Nine shooters competed for the 2-Gun award. 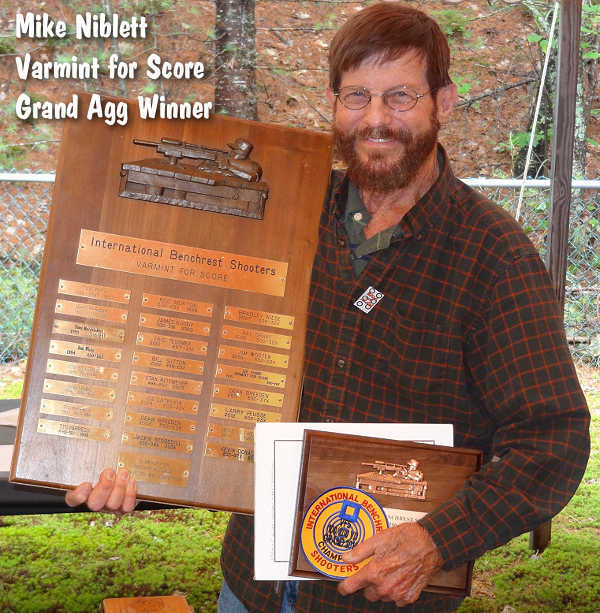 Mike Niblett shot great to win the Varmint for Score (VFS) Grand Agg, while finishing first at 200 yards and second at 100 yards. Mike’s impressive 500-39X Grand Agg total was just one point shy of the current IBS record. Kudos to Mr. Niblett! Dean Breeden won Hunter Class with Randy Jarvais in second — and that was also the result for the 2-Gun Grand Agg (Breeden first, Jarvais second). Among the Top 10 VFS shooters, nine shot a 30 BR, while the 10th campaigned an unidentified 30-caliber cartridge. Six of the Top 10 VFS shooters used Hodgdon H4198 powder, three used Vihtavuori N130, and one loaded with Hodgdon H322. Krieger barrels were used by five of the Top 10, with two Bruxes, two Liljas, and one Rock Creek. There were a wide variety of bullet choices. VFS Winner Mike Niblett used a Hillbilly 118-grainer while 2-Gun winner Dean Breeden used 115gr “10X” bullets in both his rifles (VFS and Hunter). From a Maine perspective, every USA destination is south, but the true South was well represented in both number and quality of shooters. To illustrate, in the 100-yard leg of VFS class only one person north of the Mason/Dixon line was able to crack the top seven positions, and he had the home field advantage. For match One, five shooters shot 5X targets, but from then on it was the Jerry Powers show. Powers, from North Carolina, put together a string of three 5X targets before faltering with a 3X during match four. Undaunted, Powers finished strong with another 5X. He needed to, as his 23Xs were but one better than both Mike Niblett of Kentucky and Jim Cline of South Carolina. At the Capitol City Range, the 100-yard targets are downhill, while the 200-yard targets are near level with the benches. While the benches are covered there is little covered area aft for equipment in waiting. With the prospect of showers for the entire weekend, Club members rigged tarps, hoping to provide a dry haven if needed. For the most part, ‘Tarp City’ worked sufficiently well. Fortunately, after Friday’s rain, the remainder of the weekend was mostly free of any heavy precipitation. Score Nationals competitors line up for the Rifle Weigh-In process. The blue tarps provided a little extra protection from the elements. Although the weather was very nice while shooting the 100, shortly thereafter the sky opened up with an impressive display of thunder and lightning. Although that front passed, Sunday’s weather started as overcast with drizzle and showers, but no lightning. Winds started mild but as the day unfolded and the sun was able to break through, so did the wind — it became down right gnarly during some relays. The wind was gusty, and constant switching from 11:30 to 12:30 was problematic, creating vertical issues. Even so, nine shooters were able to shoot 250s at 200 yards on Sunday, all from the VFS class. 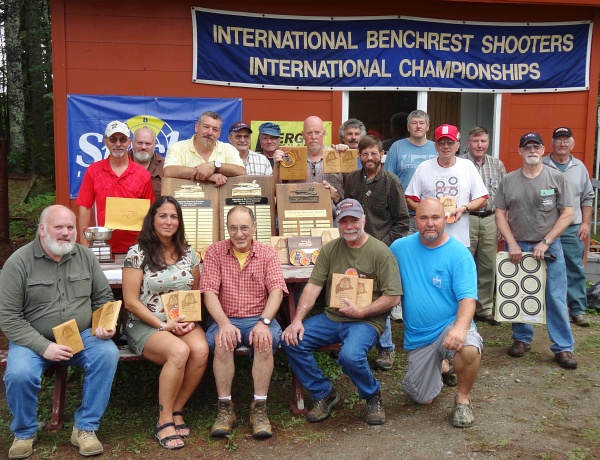 In IBS, Maine is the last stronghold of hunter classification shooters, thus it was no surprise that the Hunter class was the National’s largest in recent memory. At 100 yards, five Hunter shooters shot perfect 250s on Saturday. Dean Breeden nailed a 250-19X followed by Randy Jarvais with 250-18X. Third place went to K.L. Miller who out-dueled Peter Hills and Tim O’Mara who were the other two 6-power shooters to shoot the coveted 250. In the 6-power Hunter class, the battle between Breeden and Jarvais continued on Sunday. Breeden started better and maintained a 2X lead through match three. 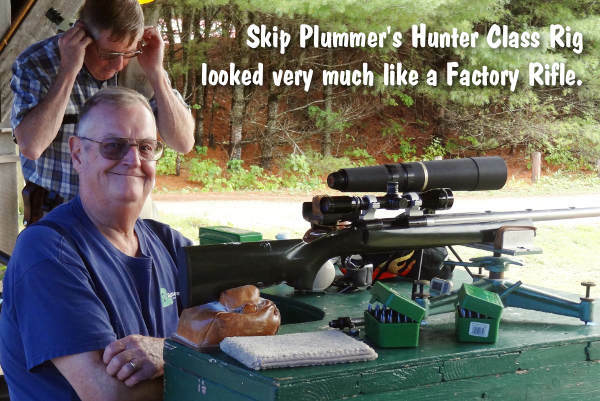 Skip Plummer, a long-time 6-power shooter (with a very “stock”-locking rig), shot three straight 50-point targets (on targets 2, 3, and 4) to threaten the two leaders. Breeden shot a 50-1X on his fifth and final 200-yard target and watched through his spotter, while Jarvais dropped one point on his very last shot for record at 200. The order of finish for the five-target, 200-yard leg was Breeden (249-6X), Jarvais (248-5X) and Plummer (247-8X). Sweeping both the 100- and 200-yard legs gave Breeden (499-25X) the Hunter Grand Agg with Jarvais (498-23X) placing second. 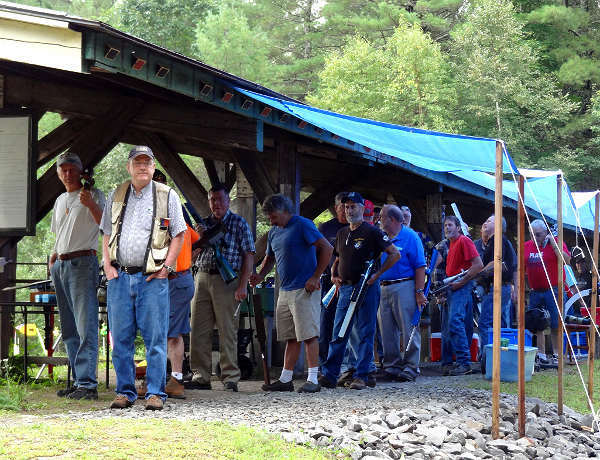 The Capitol City Rifle and Pistol Club offered a rich prize table. Thirty Benchrest vendors donated nearly $9000.00 worth of hardware and shooting supplies. That generosity allowed each shooter to receive a door prize. 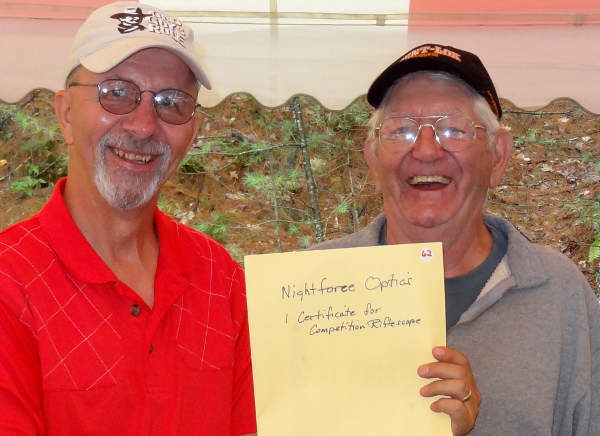 In addition, a Nightforce Competition scope was raffled off, with the proceeds earmarked for new concrete benches. Wyatt Fox of New Hampshire was the lucky winner of the Nightforce. All shooters received a door prize. Lucky Wyatt Fox (above right) received a Nightforce scope. Share the post "IBS Match Report: 100/200 Score Nationals in Maine"
Ruger’s new ARX line of lead-free ammo features injection-molded bullets that are much lighter than conventional projectiles, caliber by caliber: 56 grains for .380 ACP, 74 grains for 9x19mm, 107 grains for .40 SW, and 114 grains for .45 ACP. 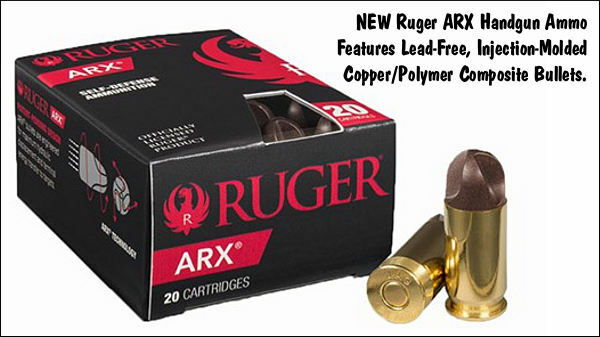 The lighter bullets fly faster, but ARX ammo still offers reduced perceived recoil. The fluted projectiles are injection-molded from a copper/polymer matrix. This offers many advantages. First, being completing lead-free, these bullets can be used at indoor facilities that prohibit lead-based ammo. Second, because the composite bullets weigh 30% less than comparable lead-based projectiles, shooters experience noticeably less recoil (even though velocities are higher). Third, the composite matrix bullet has low-ricochet properties. When these bullets strike metal, they are designed to disintegrate (into a powder), rather than ricochet. This makes them well-suited for indoor use, or use with metal plates. For over a century most bullets have been mass-produced with a process called cold-forming. Lead and copper were shaped with brute force in punches and dies to create projectiles. While this is still a viable and effective way to produce bullets, other manufacturing methods are now available. 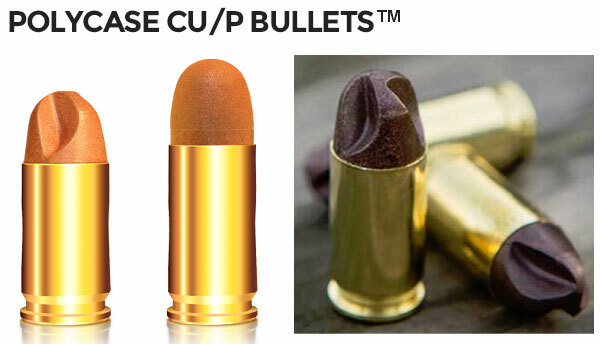 By applying injection-molding technology, Polycase has developed a new type of bullet that has many advantages, as least for handgun applications. Bullets weigh approximately 70% as much as lead bullets with similar profiles. Lighter weight means higher velocities and less recoil. In addition, PolyCase bullets are lead-free, and low-ricochet — two qualities important for indoor and close-range training. The injection-molding process also reduces weight variations (compared to cast lead bullets), and ensures excellent concentricity. Molding also allows unique shapes that are impossible to produce with conventional bullet-making methods (see photo). Share the post "NEW Ruger Handgun Ammo Features Molded Bullet Technology"
C’mon admit it — you’d love to have one of these on your work desk or loading bench. The aluminum cylinder holds six (6) pens in 0.75″-diameter holes. Dirty Harry would be proud. We think this handsome wheelgun cylinder is a clever desktop organizer, and it’s certainly a “conversation starter”. The wheelgun pen-holder is hefty enough to function as a paperweight as well as a handy storage unit for pens and pencils. The price is $17.06 at Amazon.com. 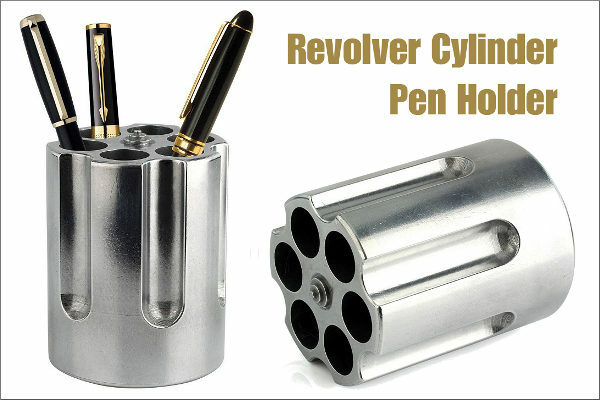 Click this link to order: Revolver Pen Holder. Share the post "For the Gun-Totin’ Business Executive"